The DC native discusses making beats 14 hours a day as a teenager, his frustration with misleading reviews of ‘The Iceberg,’ and the importance of rethinking how we define success. A storied career in the music industry usually comes from a blend of hard work, timing, and luck. Unfortunately, dominant narratives of artist success often focus solely on hard work. Veteran MC and producer Oddisee wants to challenge that perception by openly discussing some of the chance events that sparked his career in music. “It’s taking the romance out of success, which more people need to do,” he explains. Official “After Thoughts” music video. Once the romance of success is taken out of the equation, he believes people need to recognize which life circumstances they can transform into opportunities. “You kind of MacGuyver life, whatever you have, to use it to your advantage,” he says. When late Parliament-Funkadelic bassist Gary Shider moved into Oddisee’s DC neighborhood in the mid-90s, the proximity to a successful musician provided such an opportunity. Only in middle school at the time, he quickly became friends with Shider’s sons Marshall and Garret. Before long he found himself participating in frequent jam sessions inside the musician’s analog studio. Without even realizing it, he had taken his first step towards becoming a professional musician. With no vast ambition of music industry success clouding his mind, he explored the art of making music and recording without any external or financial pressures. This involved avoiding drum machines or samplers at first, as Shider forbid his pupils from any sampling or looping. “We had to play the drums out for 3 minutes by hand, play all the keyboards by hand,” Oddisee told Red Bull Music Academy in a 2012 interview. Official “Own Appeal” music video. During studio sessions, the aspiring producers took turns on Born’s ASR-X and made do with the sampler’s subpar sequencing as best they could. After Born graduated to an MPC 2000 and then a 2000XL, Oddisee convinced him to hang onto the ASR-X so he could continue to use it. Attending class quickly became an afterthought, but Oddisee realized he wouldn’t receive a diploma if he didn’t take drastic measures as his senior year came to a close. “I had to take night classes to graduate high school because I stopped going, I just skipped,” he says. Official “Caprice Down” music video. Despite the stress caused by almost missing out on a high school diploma, nothing could derail Oddisee’s desire to create. With time, his work ethic with the ASR-X started to pay major dividends. 2002 saw him snag a production credit and a guest verse on DJ Jazzy Jeff’s The Magnificent with “Musik Lounge,” the first time he received a paycheck for his music. When his parents learned of this high-profile collaboration, he earned their blessing to pursue music as his sole source of revenue. Signing to Mello Music Group and releasing his debut album 101 in 2008, Oddisee’s first official release marked the beginning of a long, fruitful, and ongoing relationship with label owner Michael Tolle. His output has been prolific in the time since, with a grand total of 13 releases — both instrumental and lyrical — now available from him on the imprint. 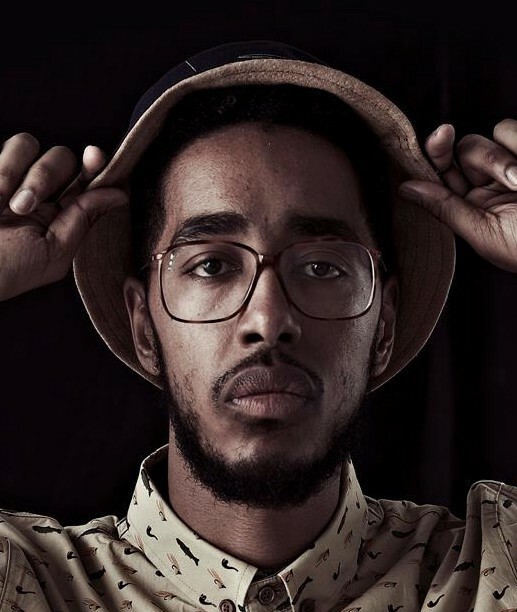 Oddisee’s rapid release of quality music has earned him a slew of guest production duties and verses, as well as some very stellar work with his group Diamond District. It also led to his music being used for a Google product unveiling and licensing ventures with ESPN and Ireland’s premiere league. His artistic success and opportunities beyond mere streams and sales, along with his song “After Thoughts” earning a remarkable 17,000,000 plays on Spotify, continue to blur the line between what audiences consider mainstream and underground. “Everyone thinks I’m underrated, but I just made someone’s salary from one song,” he said while explaining music licensing in a 2015 interview with DJ Booth. Unimpressed, he let them know if no uncertain terms that their decision to present The Iceberg’s important social and political messages as something bland and less provocative was both unhelpful and unappreciated. Whether or not they’ll get the message right in the future remains to be seen. Despite the post-Iceberg letdown, Oddisee isn’t giving up on putting his music and message out into the world. Late 2017 saw the release of his first live album Beneath The Surface (Live) with his backing band GoodCOMPANY. He also maintains an always active touring schedule that allows him to travel all over the world. Connect with Oddisee on Facebook, Instagram, his website, and on Twitter @ODDISEE. If you enjoyed this piece, please consider following my Micro-Chop and Bookshelf Beats publications or donating to the Micro-Chop Patreon page. You can also follow me on Twitter.